Brett is a patent attorney and frequent national speaker on internet and intellectual property law. He will teach a course about intellectual property law and cyberlaw at Solo Practice University®. Brett is the former President of the Iowa Intellectual Property Association and former Chair of the Iowa State Bar Association Technology Committee. He is author of the world’s first patent law blog, as well of the first online continuing legal education approved in the state of Iowa. He was also a featured speaker at the 2007 BlogWorld Expo. In 2006, Weblog Awards voted his blog, BlawgIT, the sixth best law blog in the world. Brett is author of several books on Internet Law including his most recent, Cyberlaw: A Legal Arsenal for Online Business. 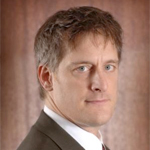 Brett began practicing Intellectual Property Law in 1992, becoming a registered patent attorney in 1993. Since that time, he has drafted over one hundred patent applications. After working for the state’s largest law firms, Brett started his own practice in 2001. Brett J. Trout, P.C. focuses on complex Intellectual Property and Information Technology protection, licensing and litigation. He and his firm are both AV-rated by Martindale-Hubbell. Brett is one of the founding members of the Iowa Volunteer Lawyers for the Arts project. He is a strong advocate of lawyer transparency, and is active in several online social networks. For more information, simply google “Brett Trout”. b. Why obtain a patent? e. Why register a trademark?